Fits all saxophones. This is a solid case with metal latches. Black interior includes a compartment for accessories. 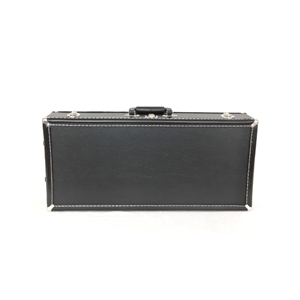 The case has two handles.